In 1937, John Maynard Keynes said “the boom, not the slump, is the right time for austerity at the treasury’. Contrary to this belief, economist Paul Krugman explained that if everyone in the economy reduced their spending then this could lead to ‘paradox of thrift’ because one person’s spending is another person’s income. Therefore, the government should be spending more. Government uses austerity policies to reduce the budget deficits by either spending cuts, tax increases or both. Government spending contributed to GDP and a major reduction in it can change future expectations about taxes and government spending , encouraging private consumption and resulting in overall economic expansion. 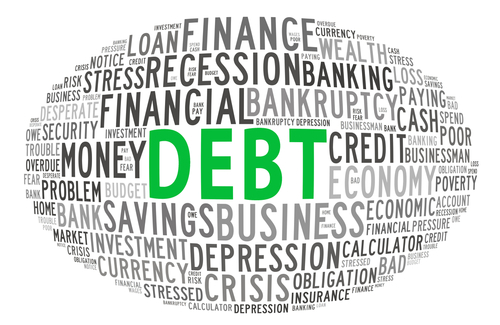 Austerity measures are taken if the government cannot honor its debt liabilities. In such cases IMF demands austerity measures in exchange for functioning as lender of last resort. Austerity might sound tough at first but only strict measures like these can take a country out off a financial turmoil and recover from great economic meltdowns.America’s new treasury secretary,Jack Lew demanded that Europe do more to grow its austerity afflicted economy since Portugal was heading towards its second international bailout.Ironically, austerity in US means a balanced budget, a stop on printing of money, massive reforms to entitlement programs,cutting spending and taxes. In contrast, real austerity policies were in force during the depression of 1920s and World War II.In recent times similar examples have been set up by Estonia and Sweden. They have proved that the quicker the debt and spending is attacked, the quicker the recovery will be. Recent economic crises in Europe and US have only given the world devalued currencies , little economic growth and sustainable amount of debt. Weeks after Cyprus faced economic crisis, Portugal seems to be the next target to be facing the music of a failed banking system. 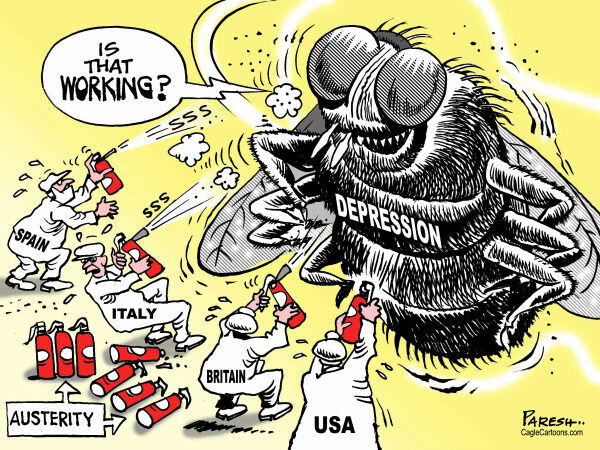 While the ailing Eurozone is struggling to fight the depression, international bailouts are becoming an easy solution for meeting their promised goals. In May2011, Portugal became the third Eurozone country after Greece and Ireland to negotiate an international bailout.The rating downgrade in Greece has contagiously spread across countries with weaker fiscal fundamentals like Ireland, Portugal, Italy, Spain, Belgium and France. Portugal is going to see a yet another spending cut making the debt crisis risks shift from Cyprus to Portugal. Portugal can be denied its next installment of bailout if the government does not prune spending by another 4 billion Euros in 2014 and 2015. Portugal pensioners, schools and government workers will face the destruction caused by austerity measures. Portugals’s elderly are hit the hardest as this year the government intend to take another chunk of 1350 euros ($1755) out of their monthly pensions.Intime of crisis, every country has a certain way and procedure to deal with incase it faces an economic meltdown and many factors like population, GDP, growth and government policies can affect these actions. These factors are then weighed down by prior commitments made in previous budgets and political pressures. Austerity within itself is an extreme measure but if used carefully can yield the right results i.e. to take a country out of the economic mess.However, using it at times when its not required can have bigger negative impacts and can lead to a recession turning into a depression, which again is the bigger evil.